Manchester United and Manchester City turned down the opportunity to sign Arturo Vidal due to age and injury concerns. The Mancunian clubs have been heavy spenders over the past seasons. 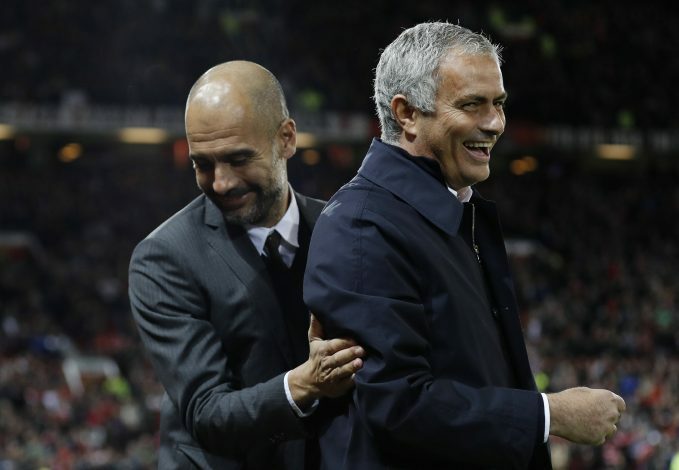 Pep Guardiola and Jose Mourinho have focused on improving their midfield by spending heavily. Pogba, Bernardo Silva and Gundogan have been some of biggest arrivals in the city. One name that both clubs were linked with this summer was Arturo Vidal. Bayern Munich were willing to offload the Chilean International, as they wanted to free up their packed midfield options. But the duo decided against it due to his history with injuries. El Chiringuito TV reporter Jose Alvarez tweeted that the clubs were offered a chance to sign the midfielder up for £27 million last month. But his age and knee surgeries were major concerns for both Pep and Jose. Arturo Vidal has since sealed a move to Barcelona, as the Blugarnas performed their second hijack of this summer. Inter Milan were confident of landing the Chilean, but Valverde’s transfer staff performed a coup to bring him to Camp Nou. The 31-year old will be looking to step in the boots of Andres Iniesta, who decided to move to Japan at the end of last season. Manchester United preferred to go for a much younger option and signed up Brazilian midfielder Fred. But Mourinho is said to be interested in bringing in another midfielder amid the uncertainty around Paul Pogba’s future. On the other hand, Guardiola is still looking to sign a central midfielder. City were said to be closing in on Jorginho, but Chelsea managed to sign him along with in new manager Maurizio Sarri from Napoli.